Kingsmills Killings Ten Protestant civilians were killed by the Republican Action Force (RAF), believed to be a covername for some members of the Irish Republican Army (IRA), in an attack on their minibus at Kingsmills, near Bessbrook, County Armagh. The men were returning from work when their minibus was stopped by a bogus security checkpoint. An RUC officer was shot dead by members of the IRA near Castledawson, County Derry. Two members of the Irish Republican Army (IRA) were killed in a car in Ardoyne, Belfast, when the bomb they were transporting exploded prematurely. Adam Butler, David Mitchel and John Patten were appointed to positions in the Northern Ireland Office (NIO). The Irish National Liberation Army (INLA) was declared illegal in the Republic of Ireland. Two undercover Royal Ulster Constabulary (RUC) officers were shot dead by members of the Irish Republican Army (IRA) in Rostrevor, County Down. The Irish Republican Army (IRA) planted a series of incendiary devices in premises in the Belfast area. A factory and six shops were destroyed in the attacks. 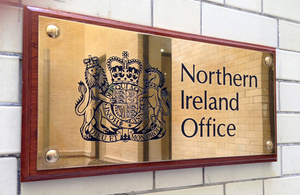 At the Northern Ireland Office (NIO) Michael Ancram became the Political Development Minister, and Tim Smith took over the environment and economy briefs from Robert Atkins. The National Committee on American Foreign Policy invited the leaders of the main political parties in Northern Ireland to attend a conference in New York. The invitations included one to Gerry Adams. A bomb, estimated at 250 lbs, was left near Cullyhanna, County Armagh. The device was defused by the British Army. ‘Punishment’ beatings were carried out on two men in north Belfast, and there were three ‘punishment’ shootings in Portadown. John Hume, then leader of the Social Democratic and Labour Party (SDLP), wrote an article in the Sunday Independent newspaper which responded to approaches from Sinn Féin (SF) for an electoral pact. Hume stated that the SDLP would only enter such a pact if there was an Irish Republican Army (IRA) ceasefire and if SF dropped its policy of abstention from the Westminster parliament. 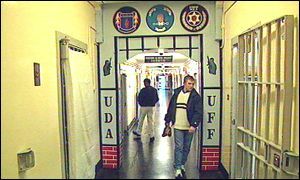 The leadership of the Ulster Defence Association (UDA) in the Maze Prison issued a statement warning that the Loyalist ceasefire was “extremely fragile”. The UDA prisoners also demanded “equal treatment” with Republicans. Marjorie (Mo) Mowlam, then Secretary of State for Northern Ireland, held meetings with Unionist and Nationalist politicians at Stormont Castle. The meetings included all the parties to the talks and also the Democratic Unionist Party (DUP) and the United Kingdom Unionist (UKU) party. The funeral of Eddie Treanor took place in north Belfast. Families Against Intimidation and Terror (FAIT) issued figures on the number of ‘punishment attacks’ carried out by paramilitary organisations in Northern Ireland. The figures showed that there had been 72 shooting incidents in 1997 compared to 31 in 1996. Loyalists had been responsible for 48 (21 in 1996) attacks while Republicans had carried out 24 (10 in 1996) attacks. The number of ‘punishment beatings’ was 160 in 1997 only slightly lower than in 1996. In economic figures that confirmed the continuing economic boom of the ‘celtic tiger’, forecasts from the Department of Finance in the Republic of Ireland indicated that the Republic’s economy would be financially in the black for the first time in 30 years. Official returns showed that receipts in 1997 had risen by £1 billion (punts) more than the Department had estimated. Two men were injured in paramilitary ‘punishment’ attacks carried out by Loyalists. Four of the five Assembly members for the United Kingdom Unionist Party (UKUP), who had left the party on 14 December 1998, announced that they were forming the Northern Ireland Unionist Party (NIUP). 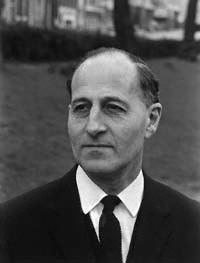 The members who formed the NIUP were Patrick Roche, Cedric Wilson, Roger Hutchinson, and Norman Boyd. This left Robert (Bob) McCartney, then leader of the UKUP, as the only Assembly member from that party. McCartney described the defection as “a day of political infamy and fraud”. The split and formation of a new party followed a number of disagreements within the UKUP. Canon Cecil Cooper, then editor of the Church of Ireland Gazette, defended his criticism of Bertie Ahern, then Taoiseach (Irish Prime Minister), for having his partner, Celia Larkin, accompany him on official occasions. Ken Maginnis, then Ulster Unionist Member of Parliament (MP), and a strong ally of David Trimble, then leader of the Ulster Unionist Party (UUP), announced that he would step down as MP at the next Westminster election. 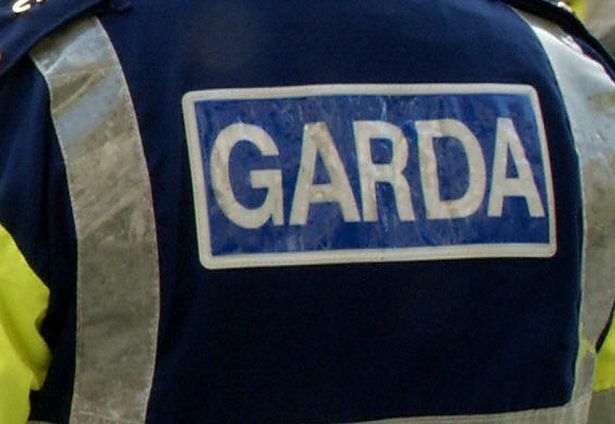 Garda Síochána (the Irish police) arrested seven suspected dissident Republicans in County Louth, Republic of Ireland, at approximately 9.00pm (2100GMT). The men were arrested following the search of a house in Dundalk during which a number of weapons were discovered. The men, aged between 20 and 50, were being questioned under Section 30 of the Offences Against the State Act. Shot by sniper while on British Army (BA) foot patrol, Ardmoulin Street, Lower Falls, Belfast. Shot at Ben Madigan filling station, Shore Road, Belfast. Mistaken for off duty Ulster Defence Regiment (UDR) member. Shot at his home, Ravenscroft Avenue, Strandtown, Belfast. Shot shortly after his firm’s minibus stopped at bogus vehicle check point while travelling home from work, Kingsmills, near Bessbrook, County Armagh. Killed in premature bomb explosion, while travelling in car, Northwick Drive, Ardoyne, Belfast. Shot at his home, Acres Road, Magheralin, near Lurgan, County Down.